Keeping your child safe and happy is our number one priority. 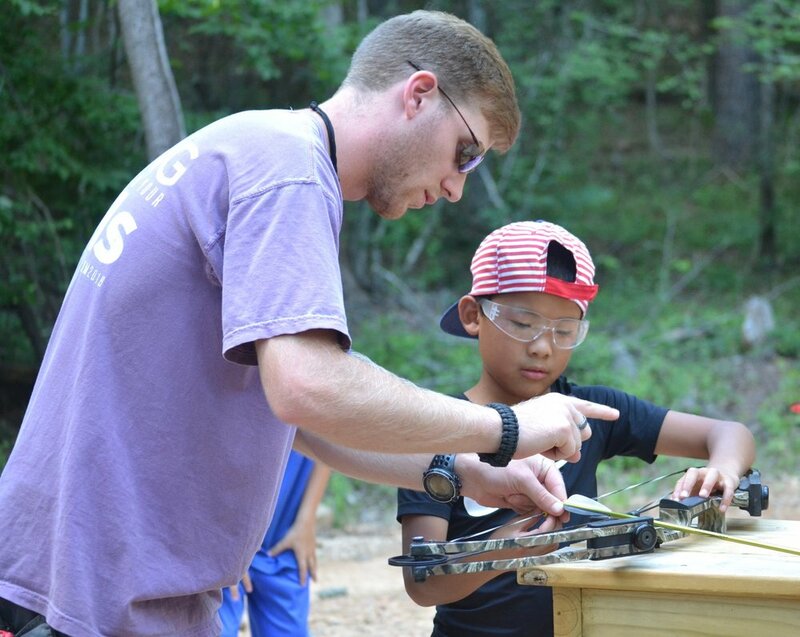 Camp staff takes a proactive approach with training and preparation so campers are able to enjoy camp fully. Camp Winnataska is a an accredited member of the American Camping Association (ACA). The ACA website has a wealth of information regarding accreditation and standards, and we encourage parents to educate themselves about camp standards. We have highly-qualified and caring staff available to care for your child while they are at camp. In addition to at least two licensed medical staff on camp full-time, Camp also has a doctor available as a consultant. If your child should need to visit the Health Hut, the nurses will communicate with your if your child needs medical attention that would affect their camp experience. Camp has developed close relationships with local first responders should an emergency arise. In addition, the Caretaker, Mark Buerhaus is a registered EMT. Camp staff undergo many hours of training to ensure camper safety. All staff members are trained in CPR, and there are staff members in each program area trained in levels of first aid. All swimming activities are under the supervision of trained lifeguards. Adult Program Specialists supervise each program, and have further training in their area of expertise. For example, the Program Specialist in Horses has certification from the American Association of Horsemanship Safety (AAHS).